LAST WINTER I STARTED INTRODUCING MORE CULTIVARS TO MY COLLECTION OF CHRISTMAS CACTUS. WITH NEW ONES BEING INTRODUCED EACH YEAR, IMPROVED FORMS OF YELLOW AND WHITE, AND EVEN FRINGED FLOWERS ARE BEGINNING TO BECOME AVAILABLE. The secret to getting you Christmas Cactus to bloom is sad. Well, it's more like SAD. 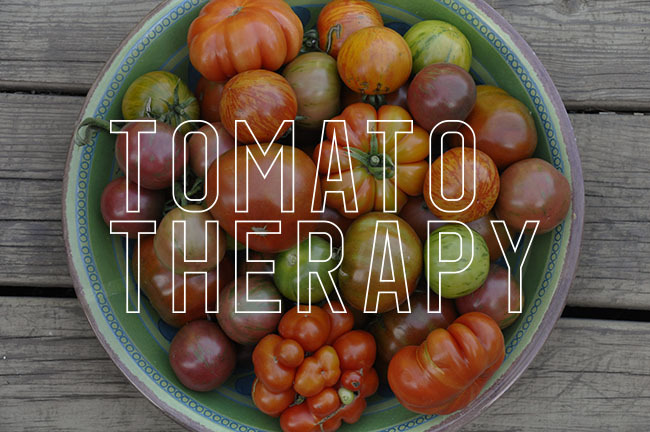 You know - Seasonal Affective Disorder. There are many plants which react to day length and temperature in the autumn or the spring, but many plants which we associate with the Holiday season such as Poinsettia, Cyclamen and Christmas Cactus are all particularly sensitive to the length of the day, and they will not bloom unless you follow some basic guidelines in providing them the proper conditions required by each species. NEW 'YELLOW' VARIETIES MAY BLOOM WITH TOO MUCH PINK IN THE BLOSSOMS, MAKING THEM LOOK PEACH ( LIKE THIS ONE). TO AVOID THIS, KEEP PLANTS WARMER. COOL TEMPERATURES ENHANCES THE PINK TINT. 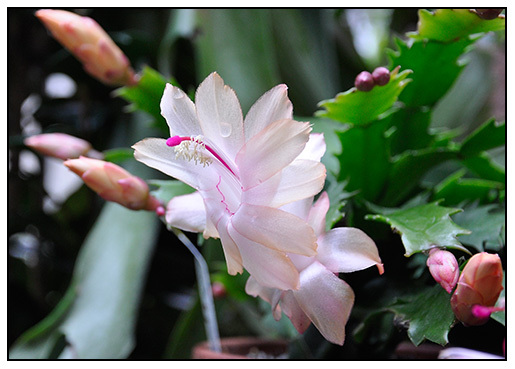 I become a little nostalgic each October when I move my Christmas Cactus ( or schlumbergera) back into the greenhouse. This was a task that my mother would perform in September and October, as she moved her house plants back into the house when frost neared. 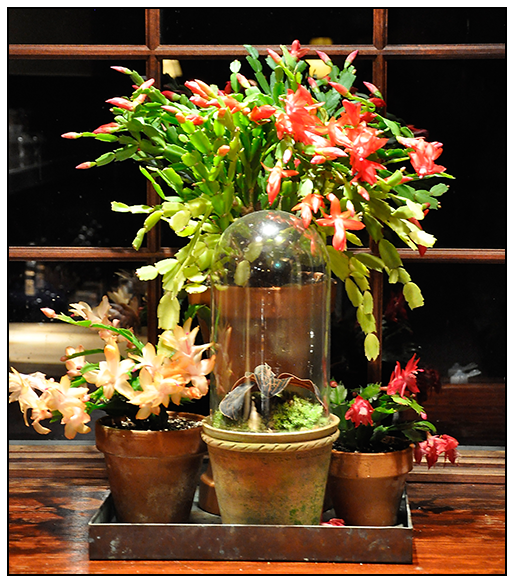 All plant would be potted and rushed into the dining room plant windows, but the Christmas Cactus received special treatment which seem mysterious to me as a child. They were all moved down to the cellar where they spent an entire month in the dark. My mother was half right, for Christmas Cactus do require a day-length shift and dryness in September or October, but her plants actually bloomed well most of the time, because they received some day light from a cellar window. 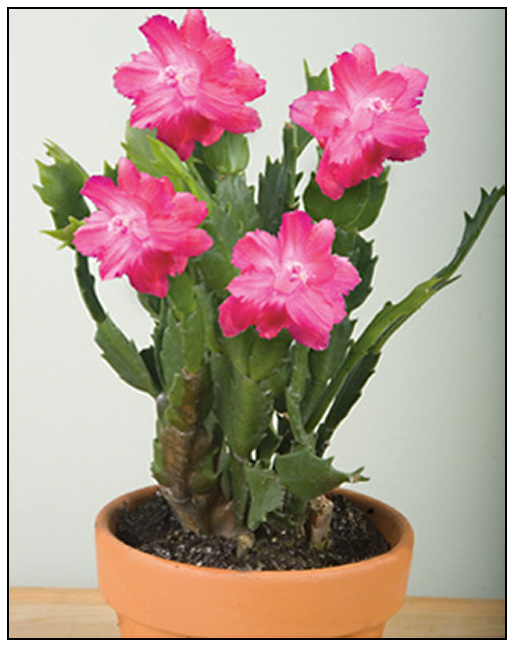 Since Sclumbergera, or Christmas Cactus would all bloom naturally in the wild, but in our modern, heated, eclectically driven homes? They sulk. To get your plants to bloom as thickly as the ones in the supermarket reqires only a little knowledge, which I will share here. This trick is to remove the human element from the environment - at least for a month. Easier said than done. My point is, Christmas Cactus which choose to live in our homes feel as if they have blinders on. Because of our TV's and night lights, they can't tell what time of year it is. They are simply, confused. Today,we know more about the triggers which these and other plants need stimulate flower bud formation. Bot in the end, it really isn't rocket science, it's just natural science. Shorter days in the fall, and longer nights. If you want your Christmas Cactus to bloom at or around Christmas, you must simply subject them to the same environmental conditions that they might receive where their ancestors grow wild - that means, that the rumor is true - even a lamp at night in your living room will throw off their annual blooming cycle. In fact, even in a dark room, a nearby street light will do the same thing. As for the 'cactus' part - are these plants really cactus at all? Many garden writers love to write that 'Christmas Cactus are not cactus at all', but the Truth is that they really are. The genus Slumbergera is organized firmly within the plant Family known as Cactaceae. The fact you must know is that all plants in the family Cactaceae are not all desert-growing plants. Schlumbergera, is also a genus which has been renamed several times, and many plants which we call Christmas Cactus are most likely a cross between two closely related species, including Hatiora ( the 'Easter' cactus) and the genus has even bneen crossed with Rhipsalis, but most simply clump all under the name Sclumbergera, a name created in 1858 - so we have Mr. Frederic Schlumberger to thank for this mouthful of a name. A well known cactus collector in France who was honored with the name. Whatever you call them - Zygocactus, Schlumbergera, Thanksgiving Cactus, Christmas Cactus, Crab Cactus etc, we generally are all talking about the same plant. Most Sclumbergera species in the wild are native to coastal Brazil, where they grow on the trunks and branches of jungle trees and on rocks. It is helpful to know that they grow more like epiphytic plants than cacti, with little soil, and fast draining conditions. In many ways, they are not unlike many orchids or bromeliads. Many of us have Christmas cactus as hand-me-down heirloom plants - plants shared with us by friends, or by relatives, and you may have noticed that not only are flowers sometimes different, but that the foliage can be different. Broadly speaking, there are two buckets in which we can organize this jumbled genus. One type for those with rounded leaves, which collectors often group together as those plants which originated from the wild species of Sclumbergera russeliana. My grandmothers ancient rounded leaf from was the true S. russeliana, a plant which can form massive branches in old pots, and has pink flowers with pink pollen. The second type are those cultivars which claim S. truncata as a parent or great grand parent. These include most of the modern hybrids which we see today, easily identified by leaves which have toothed segments, hence the other common name or claw cactus or crab cactus. Thanksgiving Cactus, Claw Cactus or Crab Cactus, these are all the same. The easiest way to identify these plant besides the obvious leaf shape, is by the pollen, which is yellow. Temperature is also essential in getting buds to form well. Plants thrive with summer warmth and humidity, expert growers know that the best flower colors develop on plants that are grown during the summer where temps are maintained between 75 degrees F and 85 degrees F., with high humidity. ( remember, jungle growers). 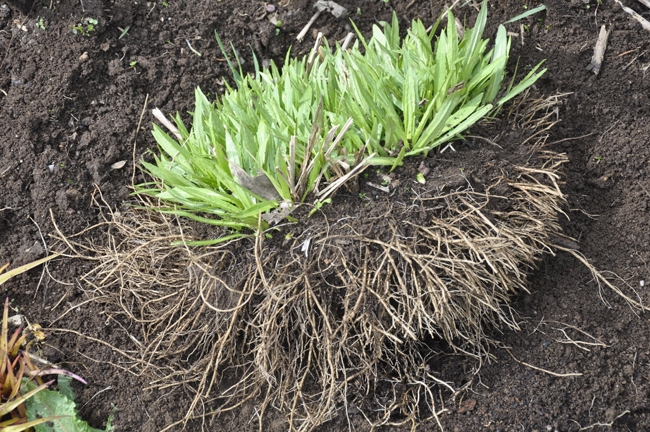 But be careful - although they like moist air, they dislike excessive moisture in the soil. This is where is gets tricky, a good, fast draining yet moisture retentive soil - it's a balance one must learn. 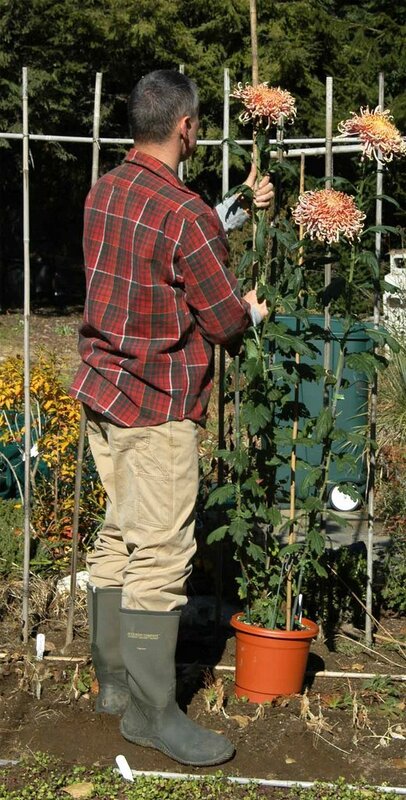 A grower trick is to allow plants to dry out a but between watering in the summer, but in the winter, it is helpful if they never fully dry out. The only time plants should dry out is during late September and October when they are forming buds. Standard, good quality potting soil is fine for Christmas Cactus ( for most common species and all of the hybrids, which is what most of us grow). Never use a cactus mix, or pumice, sand or stony mixes. 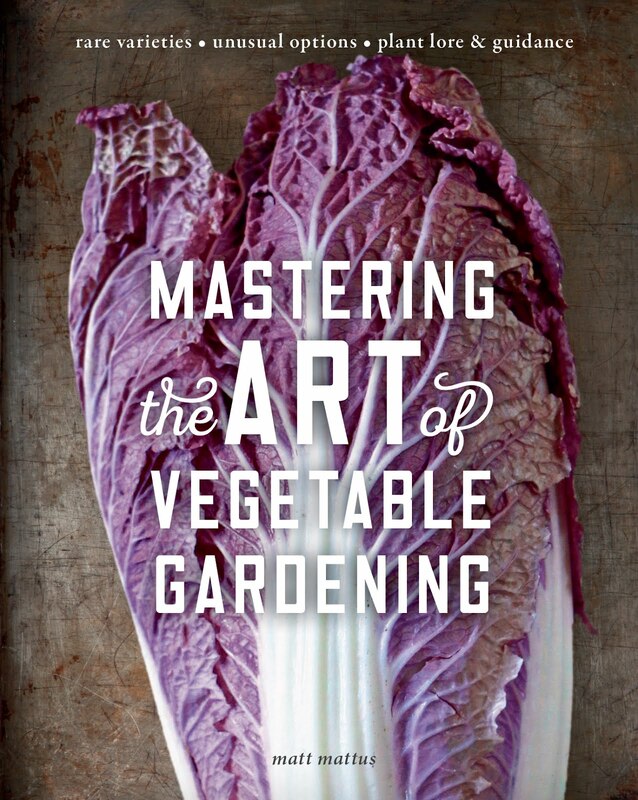 The best soil is one that drains well but holds some moisture, with some air spaces in it. Fertilizer is important with this jungle grower, especially nitrogen, but used 1/4 strength if you use 10-10-10, and only used during summer. By late September, all fertilizer should be withheld as well as water. Commercial growers know a cultural fact which is rarely shared with home growers - the new yellow and white varieties will bloom with pink streaks or reddish tints in the blossoms if they experience cool or cold temperatures in the autumn and winter. So if you want pure, bright white and yellow blossoms, grow your Christmas Cactus in a consistently warm temperature - ideally, keep them between 68 and 75 degrees. These colors are very temperature dependant, and although exposure to colder temperatures will not affect the quantity of flowers, it will affect their color. 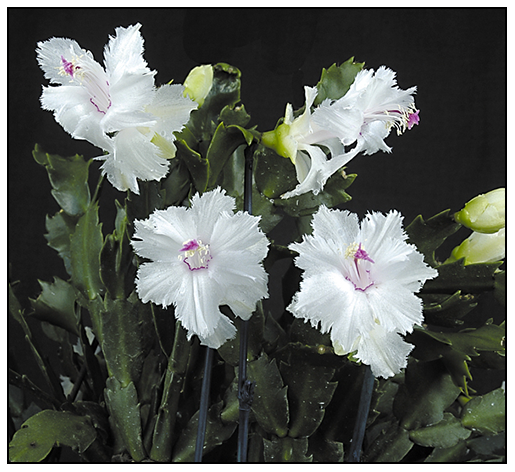 There are a few hybrid Schlumbergera which are still hard to find and expensive, but these are the real choice varieties that collectors are constantly looking for. A variety called 'Aspen' has a wide, brilliant white fringed blossom has been particularly hard-to-find, often selling out as soon as they become available at any of the few websites who have been able to obtain some. I will share with you that Logee's Greenhouses in Danielson, CT has 'ASPEN' back in stock ( for $19.00 per rooted cutting) but I expect that they will sell out soon, as last year, they were sold out before mid-October. - Have an old car? Try that! Of course, be carefull and never allow your plants freeze. June may be the time of peak early summer bloom for many, but just as any other month of the year, there are steps to be taken, to assure future displays. Planning ahead requires ordering catalogs as well as plants, since many plants which are interesting are only available to ship on very specific dates throughout the year. So it is with Chrysanthemus. 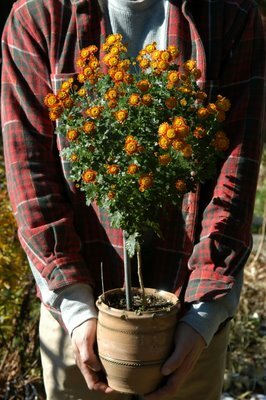 I am one who dispises the bushel basket mums one sees at garden centers and home stores starting in September, opting instead for more interesting and unusual varieties. Growing Chrysanthemums is just one of those skills and passions which has fallen out of favor in the past seventy years or so, but there was a time when spectacular fall displays where arranged around the specific culture of the Chrysanthemum. The artistic culture of raising mums for show, competition or for displays, as gone the way of the private estate greenhouses, where at one time, the gardening staff for families such as the Vanderbuit's and others, prided themselves with grand and spectacular displays of carefully trained cascading mums, with thier tumbling branches which were fussed over for monthes throughout the summer, pinched and tied to forms so that they could reach enormous lengths. Other mums, all classified to specific standards, are often trained to single stems, and were once popular in the florist trade, like the incurve standards, which we know as tacky funeral flowers or football mums, here in the U.S., and then there are the spider mums, as well as recurves and poms, spray types, and fancy brush novelties, all were pain-stakingly disbudded to sinle stams, then when fall arrived, moved into the conservatory for display. Unless one is as obsessive as I am, or able to aford a full time staff of gardeners, I can see why the art of Chrysanthemum growing has fallen away from popular culture. But isn't is ashame? In an effort to explore the lost art of fine chrysanthemums culture, I sought out these old varieties and have been practicing growing them. Only a few people bother with any of the fancy mums, even the Chrysanthemum Society seems to be weak in membership as well as exhibitions and information. Still, I encourage you to reject the bushel basket mums, sprayed with growth retardent all summer, and heavily fertilized to produce monsterous mounds of meaningless conformity. Hardy mums or what we call those genetic monsters available in the fall are just so clone-like, that if you want to look like everyone else on the block, with your fall display consisting of a bale of hay, some pumpkins, a few pots of mums and a gourd or two, then this blog certainly is not for you. In asia, just the opposite happens. 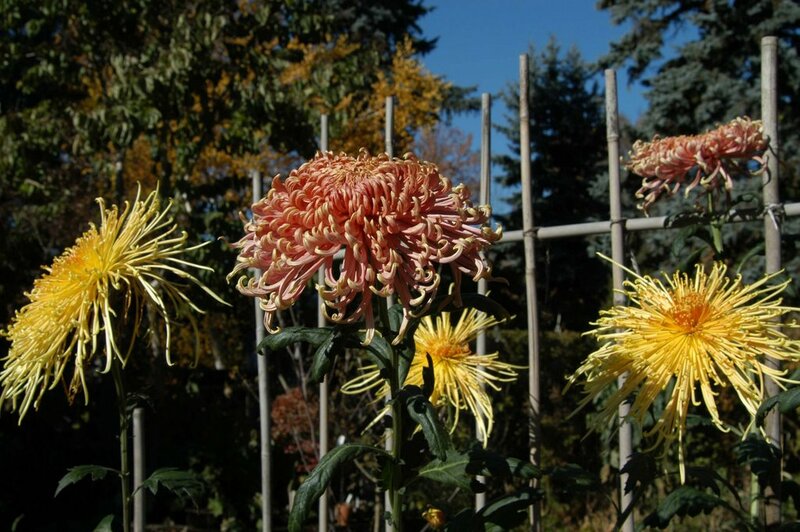 There, especially in Japan, the Chrysanthemum is held in the highest of regards. Check out my friend Masashi's website, showing jsut how beautiful the fall festivals of Chrysanthemums are in Japan. 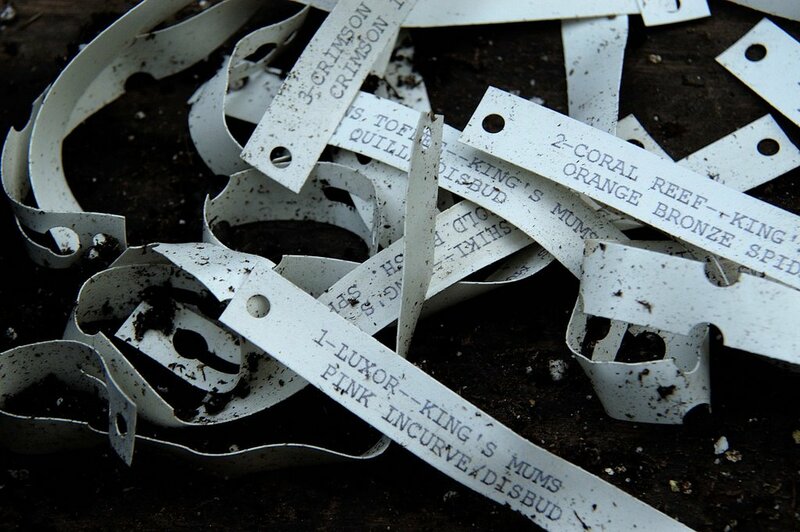 Anyway, June is the time to star any show or exhibition mums, available , really, at only one retailer, Kings Mums, and only delivered in the mail until the end of June, when in the northern hemisphere, in the U.S., they must be planted. There are many types to choose from, Large Exhibition types like Incurves and recurves, as well as Spider's, all which must be carefully disbudded to a single stem, and then flowers as large as dinner plates will happen near the end of October. 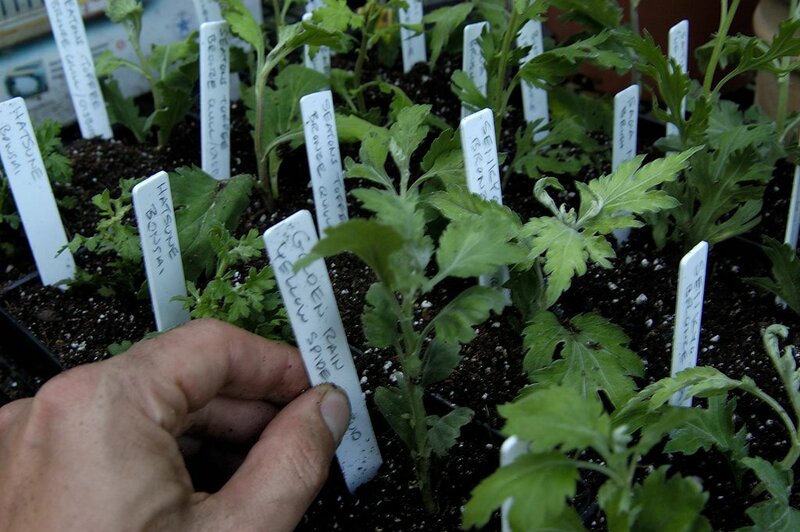 Plant the cuttings, as they arrive, I keep most in the greenhouse until July, then set the containers out into the garden, and lift them just before frost, since here in New England, they bloom later, and the cold weather will kill them. ONce in the greenhouse, they provide spectacular displays until Thanksgiving, in late November. THis year, as in others, I am growing many standard forms, as well as some Japanese varieties such as the mi8niature bonsai tyles, and the incredible cascade forms, which have weaker stems that are trained to grow horizontal, tieing each stem to bamboo canes, extended horozontally, then untied near bloom and hung in hanging baskets. Help invigorate the lost art of growing real Chrysanthemums, next year, order cuttings in May and amaze your neighbors with mums like they've never seen.